Delivering the next level of integration in creative software, Adobe Creative Suite 2 enables designers to realize their ideas anywhere -- in print, the Web, or mobile devices. Adobe Creative Suite 2 Premium software is a unified design environment that combines full, new versions of Adobe Photoshop CS2, Illustrator CS2, InDesign CS2, GoLive CS2, and Acrobat 7.0 Professional, with new Version Cue CS2, Adobe Bridge, and Adobe Stock Photos. Adobe Creative Suite 2 gives designers a cohesive and complete design environment that lets them fluidly transform their ideas into sophisticated, finished designs for print, the Web and mobile devices. This powerful, unified design environment also offers more consistent color across components of the suite, simplified and consistent Adobe Portable Document Format (PDF) creation, and enhanced file collaboration and version management, all of which make it easier to share files and work more productively with colleagues and clients. Adobe Creative Suite 2 lets designers’ productivity keep pace with their imagina- tion as they breathe life into their creative visions. Fuel your ideas. When creative ideas are ﬂowing, the last thing any designer wants is to be slowed down by technical roadblocks. With Adobe Creative Suite 2, they won’t be. Adobe Creative Suite 2 gives momentum to the creative process, with tight integration and innovative technologies that let creative professionals push their productivity to new heights. Manage, search for, and preview assets easily using the new Adobe Bridge visual ﬁ le browser, with improved access to new Version Cue CS2; view, try, buy, and manage hundreds of thousands of stock images easily, without leaving Adobe Creative Suite 2, using the new Adobe Stock Photos service; enjoy more consistent color across components of the suite and create Adobe PDF ﬁ les more easily and consistently. Adobe Creative Suite 2 opens a world of production eﬃ ciency, so creative professionals can focus on doing what they love best—designing beautiful content. Design with agility. 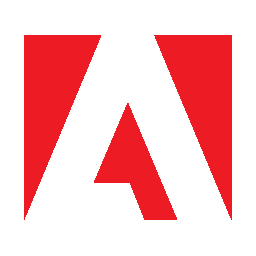 Adobe Creative Suite 2 delivers a tightly integrated set of professional design tools, enabling superb image-editing, illustration, page layout, Web and mobile authoring, and Adobe PDF work- ﬂ ow support. Oﬀ ering the full, new versions of the world’s leading design tools—Adobe Photoshop CS2, Illustrator CS2, InDesign CS2, GoLive CS2, and Acrobat 7.0 Professional—Adobe Creative Suite 2 gives designers such powerful new features as enhanced support for digital images captured in raw format; a new paradigm in vector graphics creation; signiﬁ cantly more productive page layout tools; and the capability to design, develop, and deploy mobile sites that conform to open industry standards. And because the components of Adobe Creative Suite 2 are so tightly knit and cohesive, creative ideas ﬂ ow onto the page uncompromised and undiminished, just as designers envision them. Work well with others. Designers have the vision, but they don’t work in a vacuum. That’s why Adobe Creative Suite 2 gives designers the tools they need to collaborate effectively with clients and colleagues. Features such as efﬁ cient and ﬂ exible electronic design reviews that now include reviewers who use the free Adobe Reader 7.0 software and powerful version control within Adobe Bridge using Version Cue CS2, afford tremendous time and cost savings during the design and print production process. Adobe Creative Suite 2 makes collaboration with clients and colleagues more efﬁ cient, more fun, and ultimately more supportive of the entire design process.